Our goal at T&T Capital Management is long-term capital growth. At the core of our strategy, we invest in a focused portfolio of securities that we acquire at prices well below their underlying intrinsic values. Simply put, we hand-pick investments, paying careful attention to key measures to ensure we are making strategic decisions with our stakeholders’ best interests in mind. From stocks and bonds to a wide range of other securities, we generate income with the purpose of maximizing risk-adjusted returns. We never get blinded by the amount we can earn from an investment. We measure risks in absolutes, as opposed to relatives. We make informed decisions based on facts and years of expertise. This is how we not only build wealth but protect the wealth we already have. The chart above covers the performance history of T&T Capital Management (01/01/2012-12/31/2018). The performance numbers are comprised of all accounts held at TD Ameritrade, our primary custodian, which were funded and managed by T&T Capital Management beginning January 1st, 2012. No accounts funded after January 1st, 2012 are included in the above calculations. The performance calculation is cumulative of all clients funded prior to January 1st, 2012; individual account performance may be materially lower or higher than the overall performance. Clients’ accounts funded after January 1st, 2012 may have performance materially lower or higher than the cumulative results. Performance information quoted above represents past performance and does not guarantee future results. The investment return and principal value of an account invested by T&T Capital Management will fluctuate so that when redeemed, the account may be worth more or less than their original cost. Current performance may be lower or higher than the performance information quoted above. Performance figures assume reinvestment of dividends and capital gains. Any questions you may have, including most recent month-end performance, can be answered by calling Account Services at 949-734-4290. The S&P 500 Index is a broad-based measurement of changes in the stock market, is used for comparative purposes only, and is not meant to be indicative of T&T Capital Management’s performance, asset composition or volatility. Given the wide scope of securities held by the S&P 500, it should be inherently less volatile. Our results may differ markedly from those of the S&P 500 in either up or down market trends.  The performance of the S&P 500 is shown with all dividends reinvested into the index and does not reflect any reduction in performance for the effects of transaction costs or management fees. Investors cannot invest directly in an index. All T&T Capital Management fees are included in these calculations; calculations are net of all fees. The investments made in the account performance shown were comprised of equity stocks, equity options and bonds with a view towards capital appreciation. Investing in financial markets involves the risk of loss. Options are not suitable for all investors.